07.04.2015. Sydney, Australia. AFC Champions League. Western Sydney Wanderers v FC Seoul. 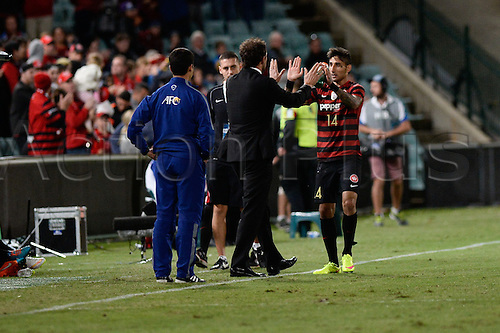 Wanderers forward Kerem Bulut celebrates his goal with his coach Tony Popovic.